Frock Suits: Bring The Elegance Of The Mughal Era To Your Wardrobe From Craftsvilla! Salwar kameez is one of the most common attire of the Indian women. There are a variety of suits available in the market that have different shapes, patterns and much more. One of the most loved suit styles is the frock suit. A Frock suit, as the name suggests is a frock styled suit that is worn with a churidar pajama. It recently came back into fashion, and it is here to stay. The designers are coming up with new designs and patterns of the frock suits every day. The reason that the frock suit is so famous amongst the Indian women is that it flatters all body types. It is tightly fitted across the torso and hangs loosely from down below. This means that all the problematic areas in the stomach are covered the frock styled bottom. At Craftsvilla, you will find the largest variety of frock suits in the latest designs. Our designers have handcrafted these suits to meet the requirements of the modern Indian woman. So, head to the Craftsvilla website and pick the right suit from our huge collection of womens clothing for your needs. Frock suits are one of the most frequently worn salwar suits in today’s times. These suits are made in the form of a frock and are usually worn with churidar pajamas. However, their origin dates back to the Mughal period. The frock suits are derived from the Anarkali suits that were pretty famous in the Mughal period. The Anarkali suits were named after one of the most beautiful dancers in the Akbar’s court. She was so beautiful that his son fell in love with her. Seeing this Akbar had her killed. However, her dress became extremely famous. These Anarkali suits which also means the flower of pomegranate were the costumes that most dancers in the Mughal courts used to wear while performing mujara. The suit and the costume have been depicted in a lot of movies and were made famous by the Bollywood’s most famous movie Mughleazam. After the movie, these suits were in trend for some time, but then they went out of fashion. A few years back, these suits came back in fashion, and a lot of variations of it were made. The ladies frock suit is one such variation. 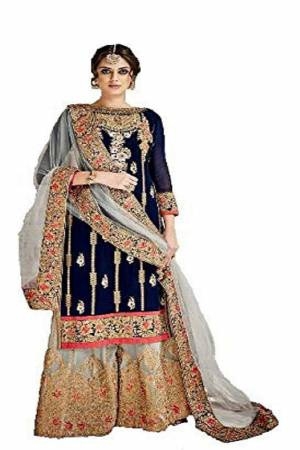 The only difference in the Anarkali suit and the frock suit is that the Anarkali is a lot longer and flowery whereas the frock suits are a little shorter and more like a frock. They are tight at the torso area and flow down as a frock below. There are many variants of the frock suits as well as the long frock suit and the short frock suits. At Craftsvilla, you will find some of the most attractive frock suit designs along with Jewellery to match that has been handcrafted by our designers. These suits are available in a variety of colors and designs for the ladies. So, visit the Craftsvilla website to buy the perfect looking frock suit for you. The color is the first thing to consider while buying any clothing. There is a variety of color available on Craftsvilla for you to choose from. There are numerous designs available under the frock suit category. Pick the one that you think suits you the best. The shorter frock suits are a better fit for the short heighted people, and more flowery fabrics suit people who have a broader body structure. The fit of cloth is what determines how it looks on the wearer. The fit of the frock suit should be perfect. Hence, take a look at the size chart before ordering it. Alternatively, you can also buy the unstitched frock suits and get them stitched according to your needs. 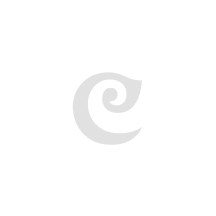 Craftsvilla has the biggest collection of the latest frock suits in a variety of designs, shapes, and patterns. You can select from the cotton frock suit, silk frock suit or net frock suits. The frock suits are so versatile that they can be designed with different fabric and are available in a variety of patterns. The best thing about Craftsvilla is the frock suit price. At Craftsvilla, customer satisfaction is our main motive. Hence we make sure that all the new frock suit designs are developed keeping in mind the need of the women of modern India. You will find fancy frock suits as well as frock suit that you can wear on a daily bases. There are even girl’s frock suit designs available on Craftsvilla. All these are designed with utmost precision and intricate detailing. The cotton frock suit with a price that suits every budget is the most preferred variety. At Craftsvilla our designers make sure that the fit of the frock suit is comfortable and suits every body type. As already said, customer satisfaction is our biggest priority. Hence with our frock suit designs latest, we also provide our customers with a smooth shopping experience. They can easily navigate through the website and find the perfect looking frock suit online for them. A variety of filters are also given for the people to set their price, color and fabric preferences. There are a variety of sizes also given. We also make sure that the dimensions of each product are available so that your frock suit online shopping is much smoother and hassle-free. With all these facilities, we make sure that our customers are 100% satisfied with our products and they do not have any problems finding the perfect clothing item and accessory on the website. The online shopping is the smoothest and the hassle-free at Craftsvilla.